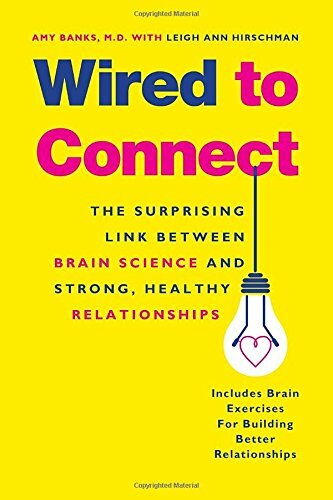 Results for Daniel J. Siegel, M. D.
9781101983218 | Reprint edition (J P Tarcher, February 2, 2016), cover price $16.00 | About this edition: Research shows that people cannot reach their full potential unless they are in healthy connection with others. Research shows that people cannot reach their full potential unless they are in healthy connection with others. 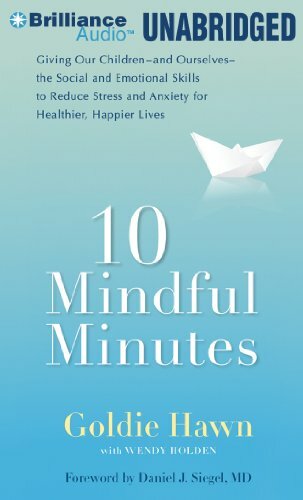 Dr. Amy Banks teaches us how to rewire our brains for healthier relationships and happier, more fulfilling lives. We all experience moments when we feel isolated and alone. A 2006 Purdue University study found that twenty-five percent of Americans cannot name a single person they feel close to. Yet every single one of us is hardwired for close relationships. 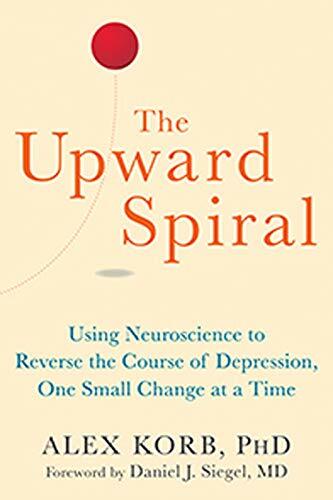 The key to more satisfying relationships—be it with a significant other, a family member, or a colleague—is to strengthen the neural pathways in our brains that encourage closeness and connection. 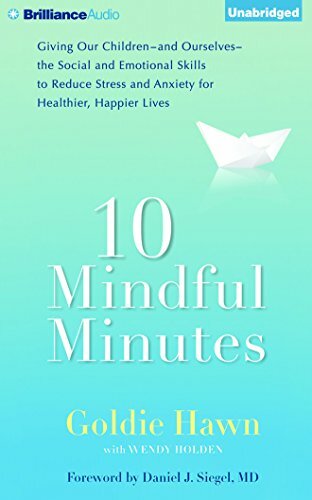 In this groundbreaking book, Dr. Banks give us a road map for developing the four distinct neural pathways in the brain that underlie the four most important ingredients for close relationships: calmness, acceptance, emotional resonance, and energy. Four Ways to Click gives you the tools you need to strengthen the parts of your brain that encourage connection and to heal the neural damage that disconnection can cause. 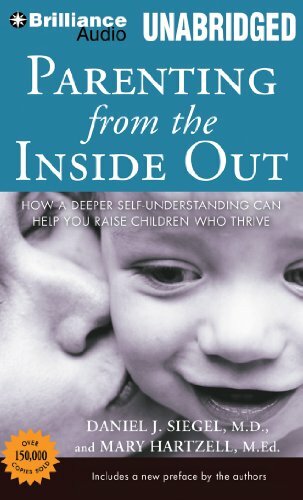 9780399169199 | J P Tarcher, February 5, 2015, cover price $26.95 | About this edition: Research shows that people cannot reach their full potential unless they are in healthy connection with others. By Tina Payne Bryson, Ph. 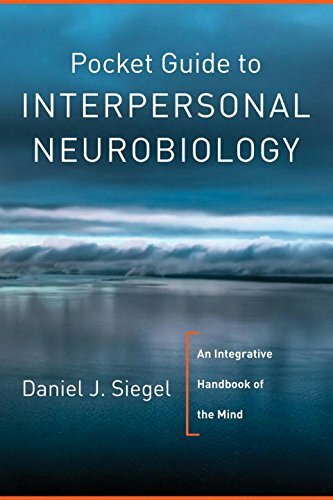 D. and Daniel J. Siegel, M. D.
9781936128747 | Csm wkb edition (Pesi Healthcare Llc, June 1, 2015), cover price $24.99 | About this edition: A Personalized Workbook to Help You Deepen, Reflect On, and Apply Whole-Brain Principles. 9781626251205 | New Harbinger Pubns Inc, March 1, 2015, cover price $16.95 | About this edition: Depression can feel like a downward spiral, pulling you into a vortex of sadness, fatigue, and apathy. 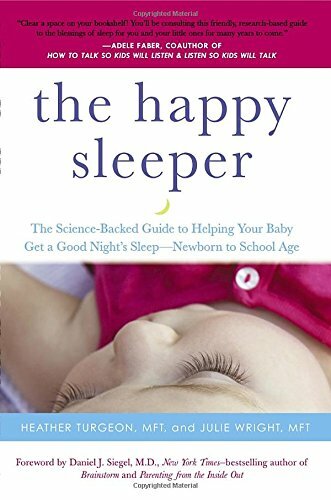 By Daniel J. Siegel (narrator) and Daniel J. Siegel, M. D.
9780399166020 | J P Tarcher, December 26, 2014, cover price $16.95 | About this edition: Many parents feel pressured to âtrainâ babies and young children to sleep but kids donât need to be trained to sleep, theyâre built to sleep. 9781491574225 | Mp3 una edition (Brilliance Audio, October 28, 2014), cover price $9.99 | About this edition: Driven by her lifelong interest in the practice of mindfulness and her commitment to the welfare of children everywhere, Goldie Hawn established the Hawn Foundation to support research into developing ways of helping children become healthy and eager learners who can reach their full potential. 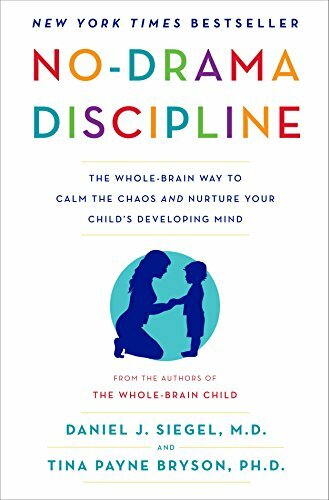 9780345548047 | Bantam Dell Pub Group, September 23, 2014, cover price $26.00 | About this edition: NEW YORK TIMES BESTSELLER • The pioneering experts behind The Whole-Brain Child and The Yes Brain tackle the ultimate parenting challenge: discipline. 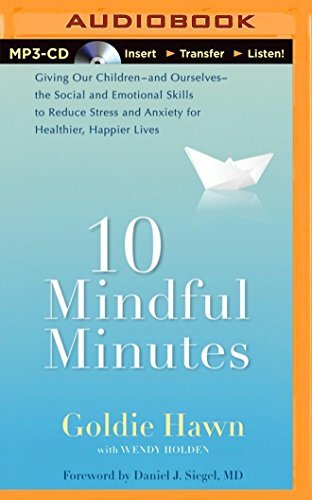 By Mary Hartzell and Daniel J. Siegel, M. D.
9781491512272 | Mp3 una edition (Brilliance Audio, April 15, 2014), cover price $9.99 | About this edition: âDan Siegel and Mary Hartzell have quite deftly managed to translate highly complex neuroscientific and psychological matters into lay strategies for effective parenting. 9781480560253 | Mp3 una edition (Brilliance Audio Lib Edn, January 7, 2014), cover price $39.97 | About this edition: “Dr. 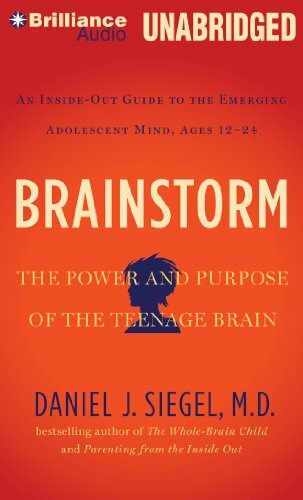 9781491513361, titled "Brainstorm: The Power and Purpose of the Teenage Brain, an Inside-out Guide to the Emerging Adolescent Mind, Ages 12-24" | Mp3 una edition (Brilliance Audio, April 15, 2014), cover price $14.99 | About this edition: âDr. 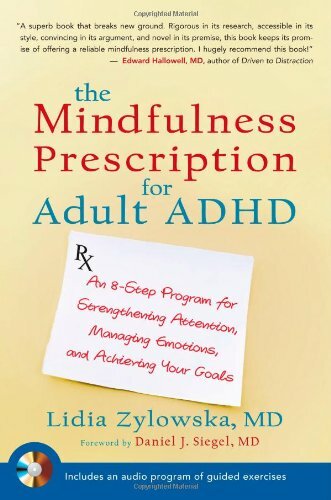 9781585429356 | J P Tarcher, January 7, 2014, cover price $27.95 | About this edition: In this New York Timesâbestselling book, Dr.
9780399168833 | J P Tarcher, August 4, 2015, cover price $16.95 | About this edition: In this New York Times–bestselling book, Dr.
9781491548912 | Unabridged edition (Brilliance Audio, August 4, 2015), cover price $19.99 | About this edition: âDr. 9781480560239 | Mp3 una edition (Brilliance Audio, January 7, 2014), cover price $24.99 | About this edition: âDr. 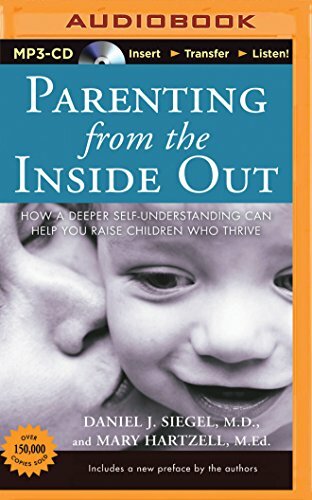 9780399165108 | 10 anv edition (J P Tarcher, December 26, 2013), cover price $16.95 | About this edition: An updated edition—with a new preface—of the bestselling parenting classic by the author of "BRAINSTORM: The Power and Purpose of the Teenage Brain"In Parenting from the Inside Out, child psychiatrist Daniel J. 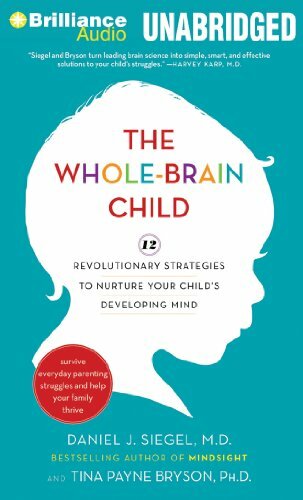 9781480560291 | Unabridged edition (Brilliance Audio, December 26, 2013), cover price $19.99 | About this edition: âDan Siegel and Mary Hartzell have quite deftly managed to translate highly complex neuroscientific and psychological matters into lay strategies for effective parenting. 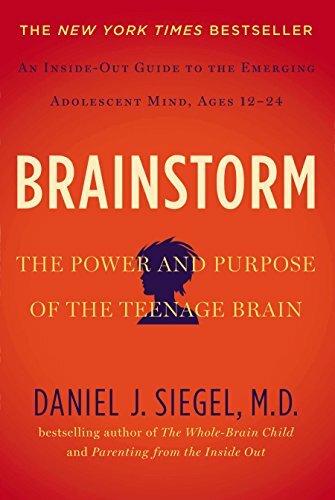 9781480560314 | Mp3 una edition (Brilliance Audio, December 26, 2013), cover price $14.99 | About this edition: âDan Siegel and Mary Hartzell have quite deftly managed to translate highly complex neuroscientific and psychological matters into lay strategies for effective parenting. 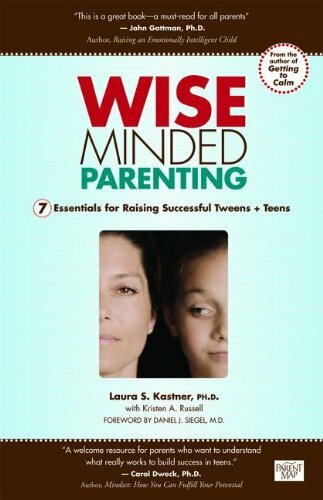 9780983012856 | Parentmap, April 1, 2013, cover price $19.95 | About this edition: Raising a happy and successful teenager is a challenge for any parent, even the most patient and wisest among us. 9781455849994 | Unabridged edition (Brilliance Audio, October 2, 2012), cover price $14.99 | About this edition: Driven by her lifelong interest in the practice of mindfulness and her commitment to the welfare of children everywhere, Goldie Hawn established the Hawn Foundation to support research into developing ways of helping children become healthy and eager learners who can reach their full potential. 9781469204284 | Mp3 una edition (Brilliance Audio, October 2, 2012), cover price $14.99 | About this edition: Driven by her lifelong interest in the practice of mindfulness and her commitment to the welfare of children everywhere, Goldie Hawn established the Hawn Foundation to support research into developing ways of helping children become healthy and eager learners who can reach their full potential. 9781455853120 | Mp3 una edition (Brilliance Audio Lib Edn, September 11, 2012), cover price $39.97 | About this edition: Your toddler throws a tantrum in the middle of a store. 9781455853083 | Unabridged edition (Brilliance Audio, September 11, 2012), cover price $19.99 | About this edition: Your toddler throws a tantrum in the middle of a store. 9781455853106, titled "The Whole-Brain Child: 12 Revolutionary Strategies to Nurture Your Child's Developing Mind: Survive Everyday Parenting Struggles, and Help Your Family Thrive" | Mp3 una edition (Brilliance Audio, September 11, 2012), cover price $19.99 | About this edition: Your toddler throws a tantrum in the middle of a store. 9781455853113 | Unabridged edition (Brilliance Audio Lib Edn, September 11, 2012), cover price $59.97 | About this edition: Your toddler throws a tantrum in the middle of a store. 9780393707137 | W W Norton & Co Inc, April 2, 2012, cover price $29.95 | About this edition: The central concepts of the theory of interpersonal neurobiology. 9781590308479 | Pap/com edition (Trumpeter, February 14, 2012), cover price $18.95 | About this edition: Do you:Â Â Â â¢Â Have trouble paying attention and staying on task?